Is the Yeard Past Its Prime? What's The Next Beard Trend? 2. Have a Yeard? Should You Shave For a Job Interview? 5. What Are The Attractive Beard Styles? 7. Is Having a Beard Cheaper than Shaving? Have we reached the end of the yeard? Does a beard still have a place at the table for men’s fashion? If so, what will end up being the next beard trend? First off, if your unaware what a yeard is, its the act of a guy growing out his hefty facial hair for an entire year. It was the latest beard trend that really took off over the past year and a half. I don’t know about you, but that is one helluva beard! However what comes with such a beard is the maintenance that it requires is pretty extensive. 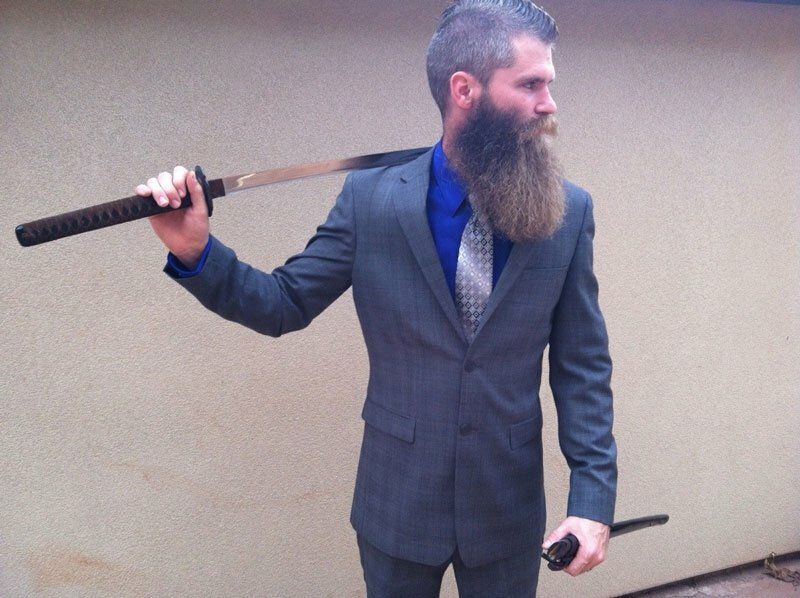 While the guy above looks awesome with a nice suit jacket and a yeard (I won’t mention the samurai swords), on average it takes someone between 7 and 17 seconds to form a first impression of them. What do you think? Is he a badass or just have way too much facial hair? If you thought perhaps the beard was a bit much, you’re not alone. We’ll go over demographic beard trends in just a minute, but what I wanted to touch on is that, if someone is turned off by a yeard, they will have to spend the entire time convincing them otherwise to overturn their prejudices. Sure that might sound a bit shallow, but when it comes to an interview for your dream job, would you be comfortable risking it for all that facial hair that can eventually grow back? Now I am not saying that a yeard is all bad news. A missed opportunity on a job only comes once. What are the alternatives to a beard? Well a bit shorter of one of course, or what I would like to call a ‘meard‘! First off, what is a meard you ask? A meard is a evolving beard trend where a guy grows their facial hair and maintains the length that is no longer than a month old. This allows them the flexibility to clean it up easily, trim it down when necessary, and most importantly save money. Here are all the benefits of going with a meard over a yeard. Ok, so beard oil is CRAZY expensive. On average for a generic beard oil its about $14 an oz. For a premium brand, you are looking to spend about $25 an ounce. Annually you are shelling out quite a bit of money on your face just to make sure that your beard gets all the essential nutrients and vitamins. Of course if you grow out a longer beard the more oil that you will have to apply. If you have a yeard, you are looking at 10 drops a day! That’s nuts, you would have to get a new beard oil once every couple of months (~$300 annually). In fact we have an insanely indepth guide on how to create your own. I definitely recommend that you check it out when you have a few minutes. With your own beard oil recipe you could be looking to cut the price of your beard oil from ~$25 an oz to just over $5 an oz. That’s a 79% savings on your beard oil! So I am not saying that you need to completely need to chop off a yeard and look like a teenager again, what I am saying is that if you reduced your yeard to a beard, you will be saving quite a bit of cash! When it comes to weilding a yeard and wanting to advance your career, skills are everything. However when you go on an interview, your first impression counts! 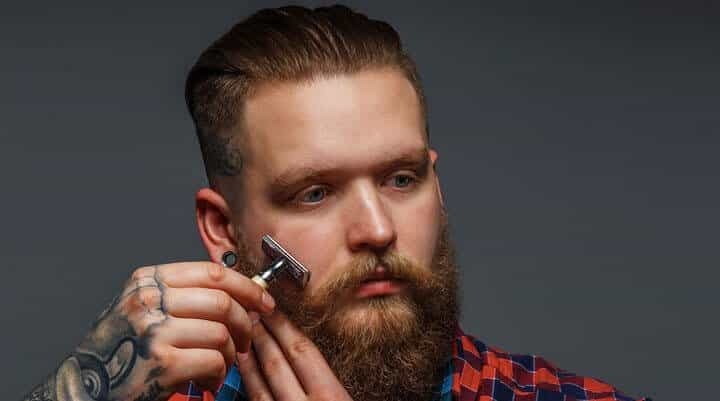 In fact, if you want to know whether or not you should shave for an interview, definitely check out our article on 9 reasons you may want to shave your beard. What’s crazy is that first impressions are made in as little as 7 seconds. You don’t even have enough time to say your name and get theirs before they already have formed a first impression in their head. While there are definitely a lot of people that do like beards, there unfortunately are people that don’t. I’m not saying to be that much of a conformist – hell no! What I am saying though is that when it comes to interviewing and your career, appearances do carry some weight. Therefore when introducing your self to your prospective boss or future employer, you will definitely want to go no more than a meard. This way it isn’t too unruly. Over the last couple of years the beard made a huge comeback in popular culture. Beard oil vendors have flooded the marketplace, and it seems like new ones pop up every day. However, as with everything in life, trends come and go. 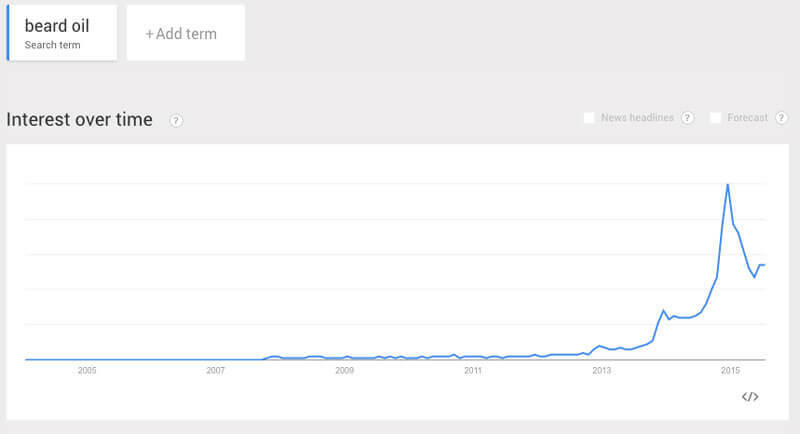 If Google trends is any indication, the year of the beard may be in the rear view mirror. I am by no means saying that the beard is going to go completely away. Of course it’s in our genetics as men to grow one. 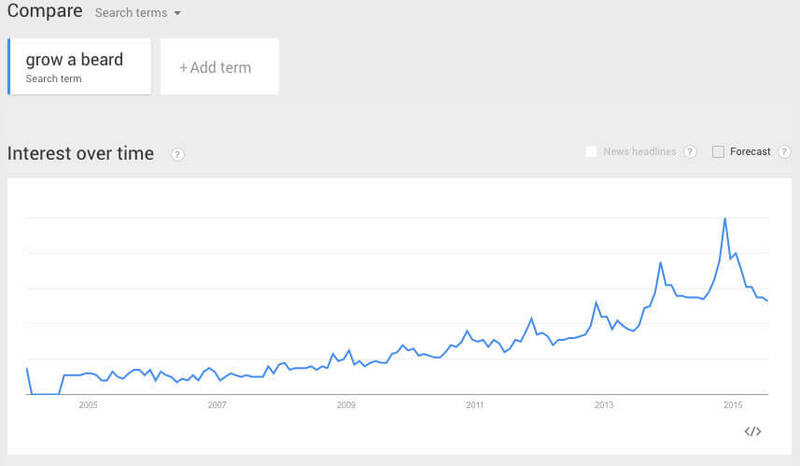 However, what I am saying is that we may have just peaked out at the close of last year. Time of course will definitely tell for the remainder of 2015 (I for one don’t want the beard trend to die). Be it showering or applying copius amounts of beard oil, when you have a yeard you have quite a bit of maintenance to do in the morning. You see, not only do you have to wash it out in the morning shower, but afterwards you need to apply beard oil to ensure that it not only smells as good as it looks, but to also make sure that it gets all the essential vitamins needed. You see beard oil helps in that it not only untangles your unruly beard, but completely rids it of any unsightly beardruff. In fact, that’s not all – to find out what else beard oil has powers for – check out our benefits of beard oil post. Enough harping on about beard oil, what are some cold hard facts that you get out of having a meard instead of a yeard? Especially when it comes to your morning beard routine? In fact, say you spend about :05 extra minutes every day maintaing your yeard (washing, combing, applying beard oil, combing again). If you add that up over the course of the year, your looking at a total of 1,825 minutes just to maintain the hair on your face! Break that out to hours, your sitting just above 30 hours annually on your beard (30.4 to be exact). That’s not only time spent on your beard, but all of the oil that you sunk into purchasing as well (remember #1 on this list?). So you are getting hit at on two fronts – time and money. Are you in the Gandalf stage or the Terrorist stage? Or perhaps Amish or Duck Dynasty? While the chart above is completely a joke – there does lie a little bit of truth behind it. Beards are subjective in regards to appearance. Some people absolutely LOVE them and some people unfortunately turned off by them. How your beard grows on your face is completely unique to you. There is no absolute perfect length. The best way to get honest feedback is to ask a close friend what you they think. Definitely not your mom or spouse as they will always have strong opinions one way or another. 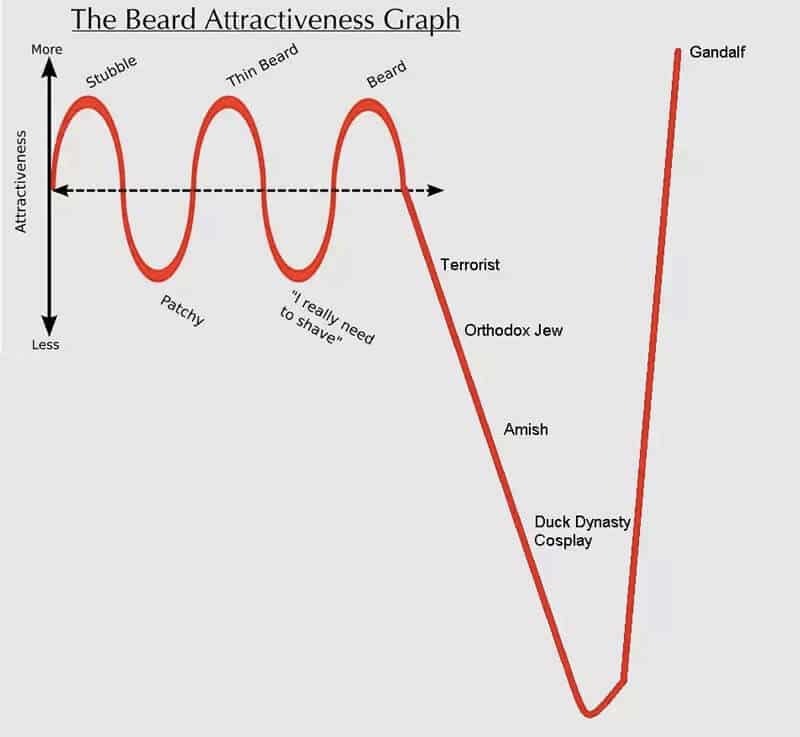 The general consensus from a women’s perspective is that a 10 day heavy stubble is by and far the most attractive beard length. Looking to get additional feedback not from a close friend, relative or spouse? 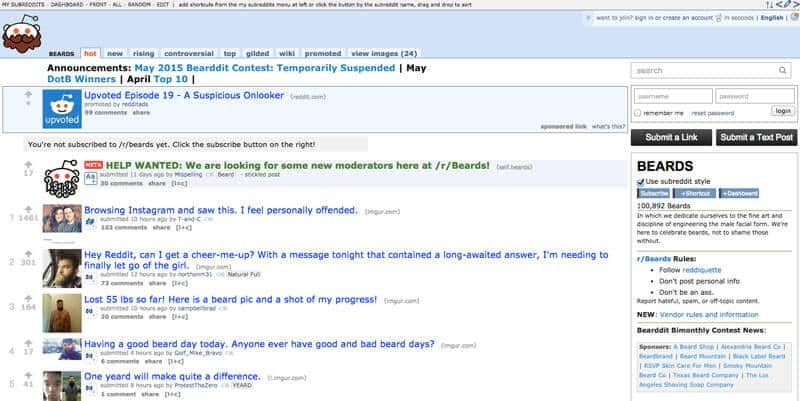 Check out the beard community that thrives on Reddit (r/beards) or Jefffs Beard Board. 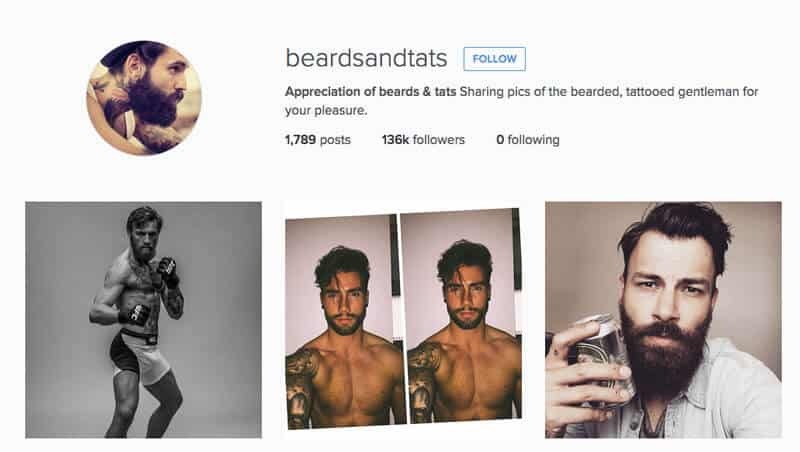 Both are the go-to communities for beard growing enthusiasts out there. There are definitely some great groups on Facebook if you search around as well (such as Beard Happy or Beard Club). There you will see a ton of guys submitting pics of their beard or even yeard and get some great tips on how to perhaps clean it up by giving it a proper trim or perhaps suggest some beard oil. Word of caution though about the communities – while I myself am friends with a few beard oil vendors, they do run rampant in these communities. So be forewarned with product pitches. 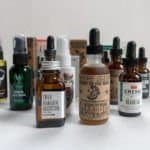 99% of them are never too pushy at all – however as I was saying earlier, the beard oil marketplace is extremely crowded. So don’t be in shock if you hear from a few of them if you bring up the topic of beard oils. Of course it is right? On the contrary if you are using not a cartridge based razor, but a double edge safety razor, that one bottle of beard oil is actually WAY more expensive than 2 years worth of blades. 1 bottle of beard oil is 2x the price of 2 years worth of razor blades! You see if you opt to go completely naked on the face and use a double edge safety razor, you can actually save quite a bit of money. A box of 100 razor blade replacements for a double edge safety razor costs on average about $14 bucks. The handle itself or the razor blade is in the neighbor hood of $30 bucks. So total annual ownership cost (minus the shaving cream which is nominal) of a shaving kit is ~$40 for the first year – and about $10 every year thereafter. Whereas if you have a yeard, the annual cost in beard oil alone is about $300 annually. Having a yeard is a very special thing for some guys – I get that. This post was used as a platform to always expand your horizons on what the current trends are around the male grooming arena. As we saw above, there was a huge spike in beard popularity this year that seems to have tapered off a bit. But as well all know, the beard is never going to go away. Its part of our very core as men and our natural body functions. Personally I will sport a meard. I find that its personally a bit more manageable and easier maintain on a daily basis. So with that being said, I would love to know what you think – do you think a meard is the way to go? Or do you think that a yeard is still where its at?